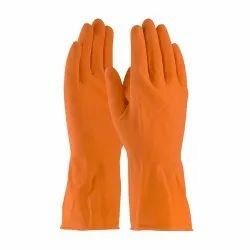 Our company offers wide range of safety gloves in Bangalore. 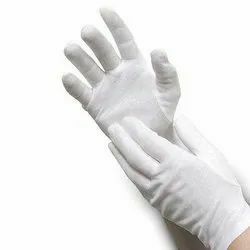 We provide hand protection gloves such as Knitted gloves and Nitrile gloves, which are used in various industrial segments. 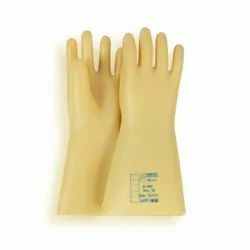 Excellent quality latex and other material is used for manufacturing these hand production products. 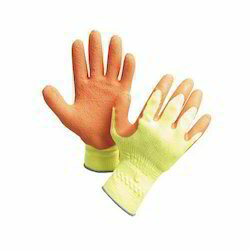 We make available hand protection products in various dimensions depending on the requirement of the clients. 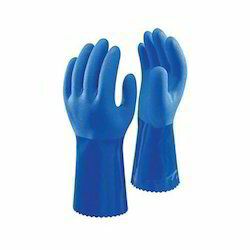 Known for our credibility in the market, we are providing an extensive assortment of Banian Hand Gloves. 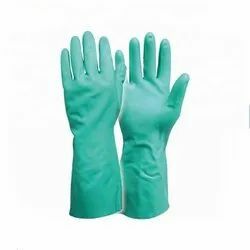 Available in different quality range; the given gloves are used to provide full protection to hands dust, stain, heat and other external hazards. These are precisely designed and can be availed at reasonable rates. 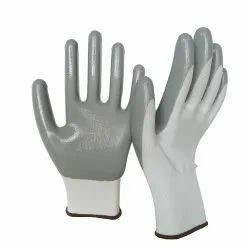 Made of interlock good fitting 10"
Catering to the diverse demands of our clients, our organization is offering a quality range of Cut Resistance Hand Gloves. 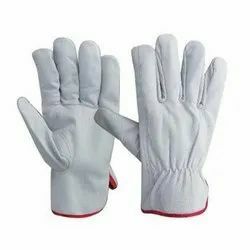 These are demanded in various industries where laborers have to work sharp tools. 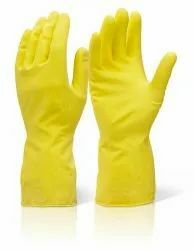 These gloves provide excellent protection from cuts and are comfortable to wear. 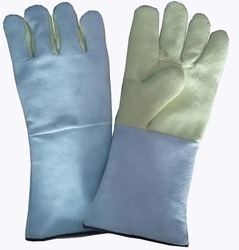 We are the leading manufacturer and Exporter of Kevlar Hand Gloves and our product is made of good quality. Light duty and heavy duty. 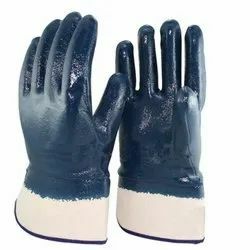 We are one of the prominent suppliers of a comprehensive range of optimum quality Electrical Rubber Hand Gloves.Manufactured from best grade natural latex at the vendors’ end, these gloves are known for their fine finish and seamless stitching. 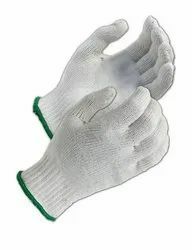 These gloves are offered in bulk quantities owing to our ultra-modern warehousing unit, which is spread over a wide area of land. 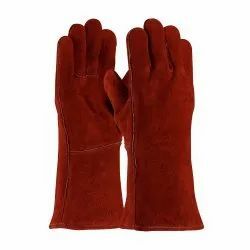 We have gained a vast industry experience in the field of manufacturing and supplying a large variety of Knitted Hand Gloves. 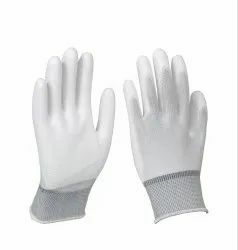 PVC Dotted gloves are machine knit seamless gloves available with anti-slip DOTS in 7,10,13,15 gauge made of cotton/ Nylon and blended knitting yarns. PVC dots provide extra gripping power and slip resistance. 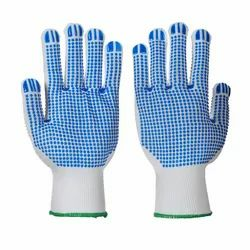 Due to PVC Dots the durability of DOTTED gloves is higher than the plain seamless knitted gloves. Owing to the quality features, our offered products are in high demand in the market. 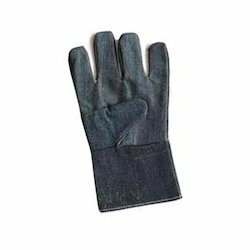 With the aid of our skilled professionals, we are involved in offering our clients a range of Driving Hand Gloves. 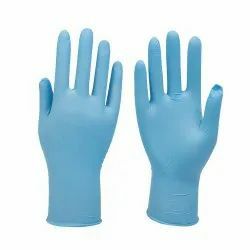 These gloves are widely used during driving and offer excellent protection from harmful objects and provide excellent grip. These are appreciated due to their tear and abrasion resistant nature. 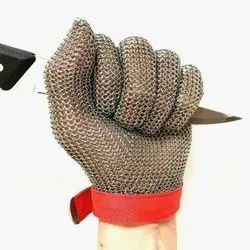 Product DescriptionNiroflex - easyfit chainmail / metal mash gloves A glove with multifunctional talents. The name says it all. Because fast and easy the easyfit range will lead to perfect fit and maximum safety. 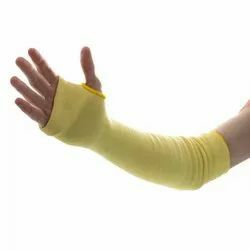 The 100% Kevlar Knitted Sleeves are knitted sleeves made with 100% Kevlar aramid fibre. Kevlar has an inherent strength protecting against cuts, slashes and abrasion, and is heat retardant making it very practical in industries where burn protection is needed. Offering a high cut resistance to weight ratio, the Polyco Touchstone 100% Kevlar Knitted Sleeves deliver exceptional performance to users.